Is it Blue or Gold? Let's go back to simpler times where the blades were challenging but not hard to obtain, and where the game doesn't want you to pay real money for every little thing. You guys ruined what was once a perfect game. Congrats. I used to love playing this game—and I do—version 1.8.1. What's up will all this leveling up crap? Back in version 1 you could do a challenge to get blades and dojos. Now you have to level up? If I were reviewing version 1.8.1 it would be ⭐️⭐️⭐️⭐️⭐️. I literally cannot stop playing been playing for like 6 hours straight trying to best my high score of 876 which is really hard I LOVEEEE this game it's so fun I literally had to keep my hands off the game to write this review and brush my teeth & stuff. Gotta go now, I have to beat that score!!!!!!!!!!!????? Great but add a few more challenges.?⚔⚔???? Hello Halfbrick. Sorry I've been away from this awesome game. 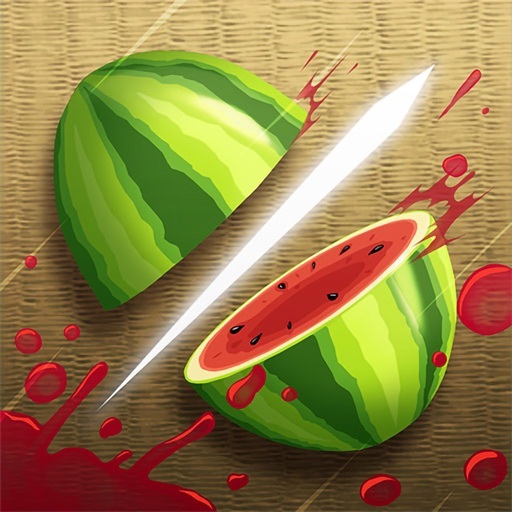 The graphics are HD-like, the blades literally paint the walls with fruit juice now that they are powered up, and, this is going to go to what this review is about, the challenges are great. But with all that said you should add some more challenges. 1.) "Land a fruit combo of 8 with a Frenzy Banana with the Shiny Red Blade." You actually should really add this feature because it's very challenging. 2.) "Slice 700 Green Apples with the Golden Ember Blade." PLEASE add this one because it is going to include the most recent Golden Ember Blade. 3.) "Open and close the main menu 20 times." Yes, this does sound silly but you really should add it. I love this app, but lately it has been freezing in the middle of my games and messing up my playing. Please fix. Pretty much what the subject says. Gameplay slows to a crawl sometimes for well over a minute and eventually comes back. Happens very sporadically. Please fix.